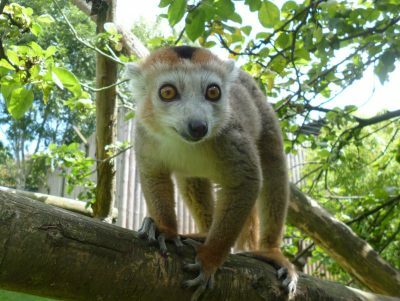 After 2 years, 4 months and roughly 100 voluntary shifts, sadly my time as a lemur volunteer has come to an end. 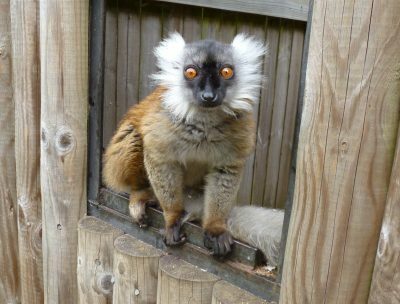 It has been an eventful, special and happy period of my life – I’ve been immensely lucky to get to know 18 lemurs and their characters, plus I’m proud to have raised hundreds of pounds for their conservation. 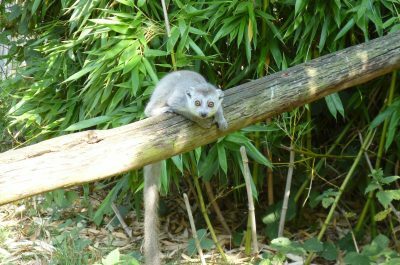 Quite a lot has occurred since I lost wrote about most of Howletts’ prosimians. There have been goodbyes, greetings, and a secret I had to hide from the public for weeks. 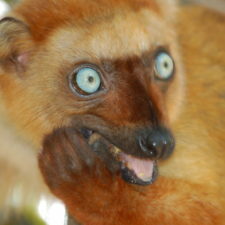 Sadly I see little of my old black lemur buddies. After pushing their luck too far in the walk-through, they were banished to elsewhere in the park and aren’t on my usual routes in or out the premises. 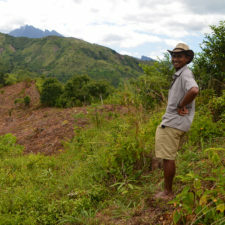 However, I do drop by occasionally and I’ve been assured that Gasy is still his mischievous and misbehaved self. His eldest daughter, Kintana, has been moved to Northern England for breeding whilst his mate Aprily has maintained her bullish character. As she is on birth control she’s obviously not due more offspring but I’m hopeful one day Gasy will have a son to teach his cunning and naughty ways. 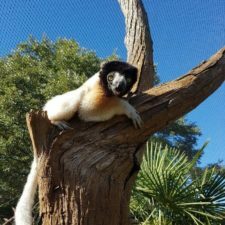 Since writing about the crowned lemurs, 3 year old Valana has been moved to France to hopefully have her own children, whilst a new female infant has replaced her – 5 month old Maholy. 1 year old Kito is now the area’s chief clown, crowding the camera when you take a photo and constantly coaxing his brother into play fights. Brother Ala has also shown him their big sister’s trick of leaping in the bamboo, whilst mum and dad are their calm and protective selves. Even on the hottest days they can all be found cuddling up together. 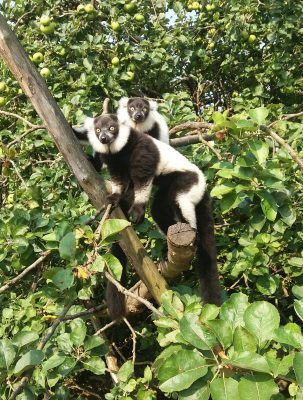 Arguably 2016’s biggest news at Howletts has been the birth of two black and white ruffed lemurs. After Aramis’s solo time before mate Akisa’s arrival, we were all rather emotional about him having twin girls. We had suspected Akisa was pregnant because of her nest building, but for safety’s sake it was better for her to give birth inside. That way her and the babies could be monitored and the infants wouldn’t be scared by over enthusiastic visitors. Within 3 weeks both youngsters were spanning the walls of their house – one was able to hang upside down by her feet at only a month old! Since then they have been integrated with the other groups and can be seen climbing atop tall trees, foraging and playing together. It appears ruffed babies grow up really quickly. Both parents have been attentive, loving and understandably defensive. This has meant less mingling between species but events have never taken a sour turn. The enclosure is more than big enough for each group to enjoy their space and privacy. The red-bellies are pretty much the same as they’ve always been. Their days consist of eating, sleeping, grunting and scent marking. I’m jealous to be honest. They’re the least visible of the three remaining kinds but they enjoy privacy and know the coolest spots of the ex-orchard in the summer. They’re still silly when it rains, though. Rather than dart for cover they try and wait out storms, often getting soaked in the process. As much as I love them I think it’s fair to say they aren’t as clever as some other species. It was a sad day when I had to bid farewell to all of the above. 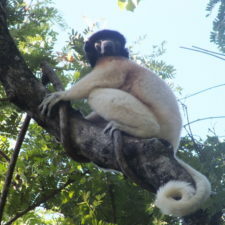 I am welcome back though, and this time of year is excellent for lemur viewing. The temperatures ensure more movement activity, the orchard’s apples have ripened, and I am very keen to see the two young ruffeds sunbathe for the first time. Therefore it hopefully won’t be long before I can produce another blog, albeit next time from a visitor’s perspective. 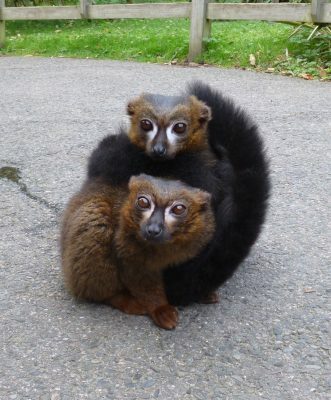 Studying lemurs goes beyond the love for them – It’s also about love for the whole forest.